The major objective of this report is to analysis Satisfaction Level of The Customers on Standard Chartered Bank. Other objectives of this reports are to briefly observe the banking environment of Standard Chartered Bank as an organization at some length, to know about the overall banking activity. Finally Identify the major strengths of the SCB’s customer service division and to Identify the features of SCB’s services and discuss about product design and its target group. Standard Chartered Bank is the leading multinational bank in this country. To maintain its leading position in the Bangladesh, Standard Chartered Bank is always keen to develop long-term beneficial relationship with trustworthy clients. To achieve this end, they have always upgraded their approaches to achieve profitability. The Standard Chartered Bank is an international banking and financial services group that is incorporated in the U.K. with its headquarters in London. It has a unique international network. It now spans in the developed and emerging economies of the world, after been built over 150 years. Standard Chartered Bank’s operation is segmented under six regions: Europe, Middle East, South Asia, South East Asia, Australia and the USA. Globally, the SCB group owns a network of 600 offices in more than 50 countries with staff of about 28000 people. Globally, SCB specializes in personal, corporate, institutional and personal finance and custodial services. The bank excels in providing the most efficient, consistent and timely services and is the multinational bank in the Middle East, South Asia and North African regions. The main objective of the report is to determine the competitive standing of Standard Chartered Bank in the banking sector in terms of its products and services, identify the major strengths of the banks customer service division, provide with probable solutions for the improvement of the customer service quality. Here the broad objectives divided into specific objectives, which will help me to do the report efficiently and effectively. Briefly observe the banking environment of Bangladesh and look at Standard Chartered Bank as an organization at some length. To know about the overall banking activity. Identify the major strengths of the SCB’s customer service division. Identify the features of SCB’s services and discuss about product design and its target group. Briefly discuss the frees and fees of its products and services. Customer satisfaction with the service provided by consumer banking division. Provide with probable solutions for the improvement of the customer service quality. To identify the problem and weakness of the banking system of Standard Chartered Bank. To suggest necessary measures for the development of the bank. Standard Chartered Bank derives its name after two banks – Standard Bank of British South Africa and the chartered Bank of India, Australia and China. The merger took place in 1969. Standard Chartered Bank is regulated by the Bank of England and is a clearing bank in the United Kingdom. The new millennium brought with it two of the largest acquisition in the history of the bank- the acquisition of the Grindlays Bank from the ANZ group for a consideration of $1.34 billion and acquisition of the Chase Consumer Banking Corporation in the Hong Kong for $ 1.32 billion. These acquisitions demonstrate Standard Chartered Bank’s firm commitment to the emerging markets. Standard Chartered employs 29,000 people in over 500 offices in more than 50 countries. The group provides consumer-banking services to individuals and small to medium size businesses, and offers Wholesale Banking capabilities to corporate and institutional clients. With 150 years in the emerging markets the group has unmatched knowledge and understanding of its customers in its markets. Standard Chartered recognizes its responsibilities to its staff and to the communities in which it operates. Their 150 years of history gives them a deep better understanding of their markets, their customers, and the local communities in which they operate>It is a strong platform for future growth. Standard Chartered is holding leading positions in dynamic markets. They are in some of the world’s fastest growing markets including he United Arab Emirates, India, China, and the markets of South Asia. They are present in many of their markets for several generations and have become a trusted partner to businesses and individuals. In other words, they are trusted and well respected provider of financial products and services. They have built up an enviable knowledge of local markets in Asia, Africa, the Americans and the Middle East. In many cases, they have had a presence for more than a century. Their first two branches were in Calcutta and Shanghai and we have been operating continuously in China for the last 144 years. Standard Chartered is the world’s leading emerging market’s bank headquartered in London. Its businesses however, have always been overwhelmingly international. Here is the summary of the main history of the Standard Chartered Bank. Standard Chartered is named after two banks which merged in 1969. They were originally known as the Standard Bank of British South Africa and the Chartered Bank of India, Australia and China. Of the two banks, the Chartered Bank is the older having been founded in 1853 following the grant of a Royal Charter from Queen Victoria. The moving force behind the Chartered Bank was a Scot, James Wilson, who made his fortune in London making hats. James Wilson went on to start The Economist, still one of the world’s pre-eminent publications. Nine years later, in 1862, the Standard Bank was founded by a group of businessmen led by another Scot, John Paterson, who had immigrated to the Cape Province in South Africa and had become a successful merchant. Both banks were keen to capitalize on the huge expansion of trade between Europe, Asia and Africa and to reap the handsome profits to be made from financing that trade. The Chartered Bank opened its first branches in 1858 in Chennai and Mumbai. A branch opened in Shanghai that summer beginning Standard Chartered’s unbroken presence in China. The following year the Chartered Bank opened a branch in Hong Kong and an agency was opened in Singapore. In 1861 the Singapore agency was upgraded to a branch which helped provide finance for the rapidly developing rubber and tin industries in Malaysia. In 1862 the Chartered Bank was authorized to issue bank notes in Hong Kong. Even within this period of apparent retrenchment Standard Chartered expanded its network, re-opening in Vietnam in 1990, Cambodia and Iran in 1992, Tanzania in 1993 and Myanmar in 1995. With the opening of branches in Macau and Taiwan in 1983 and 1985 plus a representative office in Laos (1996), Standard Chartered now has an office in every country in the Asia Pacific Region with the exception of North Korea. In 1998 Standard Chartered concluded the purchase of a controlling interest in Banco Exterior de Los Andes (Extebandes), an Andean Region bank involved primarily in trade finance. With this purchase Standard Chartered now offers full banking services in Colombia, Peru and Venezuela. In 1999, Standard Chartered acquired the global trade finance business of Union Bank of Switzerland. This acquisition makes Standard Chartered one of the leading clearers of dollar payments in the USA. Standard Chartered also opened a new subsidiary, Standard Chartered Nigeria Limited in Lagos, acquired 75 per cent of the equity of Nakornthon Bank, Thailand; and agreed terms to acquire 89 per cent of the share capital of Metropolitan Bank of the Lebanon. There are seventy-six branches and finance centers under this division in about the countries with a workforce of 1616 employees. Some of the services provided by these divisions are unsecured personal loans, credit cards and retail store cards, vehicle related leases, etc. There are about 410 branches with a workforce of 12,000 employees working under this division in 28 countries. Some of the services provided by this division are various kinds of insurance and loans, account maintenance, traveler’s cheques and money exchange etc. There are 350 branches under this division. This division provides services in 42 countries. The services provided by this division are International Trade Management, Institutional banking, Treasury, Custody and Cash Management. Sustained investment in people and systems. Principles services of this division are to the people are Import Letter of Credits (L/C), Import Bills for Collection, Back to Back Letter of Credit, Direct Export Bills for Collection, Bulk Letter of Credit Collection, Bonds and Guarantees. The division is operational in all countries where the group has Corporate & Institutional Banking division. Standard Chartered Bank recognizes the importance of Cash Management to corporate and institutional customers and offers a comprehensive range of services and liquidity management. Services provided worldwide by this division with stress on Asian delivery. Throughout Standard Chartered Bank’s network of more than 600 offices in over 40 countries, it is very well positioned to provide a wide range of services to institutional clients: commercial, merchant & central banks; brokers and dealers; insurance companies; fund managers and others. Offices of emerging markets of Asia, Sub-Saharan, the Middle East and Latin America are complemented by the branches in the developed countries such as USA, UK and Japan and bank’s membership of the clearing systems in those countries. The Institutional banking group has a network of offices in 25 countries throughout Asia, North America, Europe, Africa and The Middle East. The Chartered Bank opened in Chittagong in 1948, which was, at that time, the eastern region of the newly created Pakistan. The branch was opened mainly to facilities the post-war re-establishment and expansion of South and South East Asia. The Bank opened its first branch in Dhaka in 1966 and shifted it’s headquarter from Chittagong to Dhaka after the birth of the Republic of Bangladesh in 1971. At present the Bank has ten branches in Dhaka, it also have one offshore banking unit inside the Dhaka Export Processing Zone at Savar, one branch in Narayanganj, three branches in Chittagong, one branch in Khulna, one branch in Sylhet, one branch in Bogra. In the year 1999 Standard Chartered has acquired the operation of Grindlays Bank in the Middle East and South East Asian countries. Former Grindlays Bank started its journey in Bangladesh in 1905 under the name of Grindlays Bank (when it forbears the National Bank of India opened in Chittagong). Standard Chartered Bank took-over the operation of ANZ Grindlays Bank in Bangladesh as a part of acquisition of the South East Asian and Middle East operation of the Australia and New Zealand Banking Group. Standard Chartered Bank (SC) become the highest bidder quoting about AU$2.5 billion (US$1.5 billion) after ANZ Banking group decided to sell its subsidiary, the ANZ Grindlays Bank operating mostly in the Middle east and South East Asian countries. The SC with its 18 branches and booths across Bangladesh has employed more than 600 people. The acquisition has enabled Standard Chartered Bank (SC) to access 500,000 new customer and 40 branches in India, and this made them one of the biggest bank in this region. In the consumer market, SCB is well reputed for introducing innovative and lucrative offers and products to its customers. SCB’s products have always been a master blaster in the banking market. For opening a personal or a joint account one needs to submit a valid passport or any identification attached with photo, one passport size photograph and needs to be introduced by any account holder of SCB whose account is minimum six months old. To open the account the person needs to fill up a form mentioning his name, address, telephone number, date of birth, occupation etc. as well as mode of operation and specimen signature. Account holder must appoint a nominee with photograph and signature who also must attest nominee’s signature and photo. To open a Current Account one has to deposit a minimum of Taka.50, 000. And account holder of those account need to have average balance of Taka 50000 at all time, otherwise a charge of Taka 500 will be debited. And the closing charge for those accounts is Taka 250, and if it is closed before six months, the charge will be Taka 500. To open a Savings Account one has to deposit a minimum of Taka. 100,000 and Taka 300,000 for extra value savings account (EVSA). And account holder of those account need to have average balance of Taka 100,000 at all times, otherwise a charge of Taka 500 will be debited. And the closing charge for those accounts is Taka 200, and Taka 300 for EVSA accounts. If the A/C is closed before six months, the charge will be Taka 500 and Taka 1000 for EVSA. Minimum balance for maintaining a STD (Short Term Deposit) or Call Deposit Account is required BDT 250,000. Interest Rate on this type of account is 4.00% to 6.00% (Rate varies on amount). The main reason for big clients to maintain this type of account is just to earn interest on big amount on a daily basis. Access account is quite new feature of SCB that allows customers to have an account with SCB without any charges that are present in other types of accounts. Access account differs from its other account services in the way that it requires no minimum deposit size and hence it doesn’t provide any interest. The advantage is that students / people of medium income level trying to avoid high bank charges can use this account to meet emergency cash requirements. The account holders do not get any facility of cheque book and cannot withdraw more that Taka. 20, 000 in a day and also cannot overdraw their account. The charges include Taka. 150 per year and Taka. 250 for government excise duty. And the closing charge for those accounts is Taka 200. Specially designed foreign currency account for resident Bangladeshis. Offers wonderful opportunity to build a deposit base in foreign currency. Helps make for overseas commitments and dues like credit card bills, traveling expense, recreation tours, etc. This service is offered in currencies like USD, GBP and Yen. The interest that SCB offers is very competitive, but the deposit can only be made in foreign currency. The withdrawals can only be made in local currency. It offers fund Remittance in LCY and FCY to any place in and out of the country. The charge for holding statements is BDT 1000 per annum per account and for Additional/ Duplicate statement (Per cycle) is BDT 200 per statement. Photocopy of statements is Taka 1000. The annual fees for ATM card are Taka 150 per card, and the charge in case of damaged or lost card is Taka 300 per card. And phone banking is absolutely free. For issuance of FCY cash, customers need to pay 1% of the transaction plus Taka 200/= per passport. And for issuance of Travelers cheque 1% of the transaction plus Taka 200/=. The charge for encashment is absolutely free in case of travelers cheque issued by SCB and encashment for other bank’s issued T.C is 0.25% of the transaction value or minimum BDT 500. SCB also provides encashment facility for non-customers, is 0.25% of the transaction value or Taka 1,000. For customers, opening student file for SAARC countries, they charge BDT 3500 per student, per annum plus Taka 500 per remittance. This is a centralized system. No matter where the customers conduct his/her banking, for opening and maintaining student file, he/she is bound to come to SCB Kakrail Branch, which is at 109, Kakrail. That branch exclusively deals with Student File. And, the charge for other countries is Taka 5000 per student file plus Taka 500 per remittance. This opening of student file is not available for non-customers. For a fixed deposit account a person needs to deposit a minimum of BDT 100,000. After the maturity of the fixed deposit the depositor will get the principal along with the interest. The interest rate for this fixed deposit varies with the amount and period. The rate increases as the amount and time period increases. But the above deposit rates may be increased by 1.00% for priority/Wholesale clients at the discretion of the Management. In that case, the branch sales and services manger needs to obtain approval from HOC&I and HOCB for C&I and CB deposit respectively with regard to above discretionary interest rates. Just like the personal and joint account, an account opening form and one passport size photograph is required. The customer also needs to submit a copy of his trade license, Sole proprietor Declaration From and signature. The account holder must attested nominee’s signature photo. Required certified copy of the Partnership Deed of the firm. Certificate of Registration of the firm. List of partners with their address. Latest copy of Balance Sheet. Extract of resolution of the partners of the firm for opening the account and authorization for its operation duly certified by the firm’s Managing Partner. List of names with appointments and specimen of the persons who are authorized to operate the account duly certified by the Managing Partner of the firm. Certified copy of the memorandum and articles of association of the company. Certificate from the Joint Stock Registrar that the company is entitled to commence business. Extract of Resolution of the Board / General Meeting of the company for opening the account and authorization for its operation duly certified by the Chairman or Managing Director of the company. List of names with appointments and Specimen signatures of the persons authorized to operate the account and request the bank to open a letter of Credit / Guarantee duly certified by the Chairperson or Managing Director of the company. The rates are based on the international market rates, which are available at the bank regularly. The Speed Cheque Deposit system saves a customer’s precious time by allowing him to drop the Cheque in the Speed Cheque Deposit Box. All a customer needs to do is to complete the Cheque deposit slip and keep the counterfoil. To complete the Cheque deposit slip a person has to mention the account number of the Cheque, the name of the bank with branch, cheque number and amount. After finishing writing the cheque deposit slip the customer needs to staple the cheque with the slip and drop it inside the box. SCB Launched Automated Teller Machine (ATM) in Bangladesh in the year of 1998. A person can access his personal, current and savings account 24 hours a day by using a Money Link Card or ATM card in this machine. This card can be used for cash withdrawal, cash / cheque deposit, fund transfer between accounts, balance inquires, statement requests etc. Apart from SCB Money Link cards (ATM) it also accepts both local and International Master Card and VISA Credit Cards. Taka 150 is charged per ATM card for a period of 1 year. For security reason a person cannot access his account without his PIN (Personal Identification Number). Completed credit card application form. Minimum monthly income of Tk. 10,000 for Master and VISA Card Silver. Minimum monthly income of Tk. 55,000 for Master Card Gold. Documents (e.g. Salary Certificates, Income Tax Certificates, 6 months bank statement, Photocopy of passport or other Documents). For foreigners, work permit from the ministry is required. Wide Acceptance: SCB Credit Card is accepted at more than 3,000 outlets around the country. One can use his/her card for everyday purchases as well as for high value purchases. Its wide range of merchants include hotels, restaurants, airlines & travel agents, departmental stores, hospital and diagnostic centers, jewelry shops, electronic and computer shops, leather goods, mobiles and ISP’s and many more. This number is increasing everyday to cater to customers growing needs. Easy Credit: With SCB Credit Card customers have the convenience to pay as little as 5% of their outstanding on the card account every month, thus having the power and flexibility to plan their payments. Minimum monthly payment is 5% of the cardholders closing balance or Tk. 500 whichever is higher. If the closing balance is more than Tk. 500 it must be paid in full. Instant Cash Advance: SCB Credit Card gives its customers to access to cash up to 50% of the credit limit. Customer can withdraw cash advance from all SCB and SCG ATM around the country, thus having access to cash 24 hours a day. Besides, cash advance can also be taken from any of its branches across the country. Safe and Secure: Customer does not need to carry cash anymore if he/she is carrying SCB Credit Card. If someone last his/her card can be protected from the financial charges from the moment he/she reports to the bank. Air Accident Insurance: SCB Credit Card gives the customer free air accident insurance coverage up to Tk.100,000 (Silver Card) and Tk.500,000 (Gold Card). This coverage is also applicable for supplementary cardholders. Supplementary Card: Customers can apply for supplementary card(s) for their spouse, parents, sisters, brothers, friends of children over 18 years of age. All charges on the supplementary card are reported on the monthly statement. Besides, for customer’s peace of mind one can assign monthly spending limit on each Supplementary Card. From March 2002 first supplementary card is free for lifetime. Standard Chartered Bank has introduced Evening Banking Facilities recently. This is particularly for that group of customers who remain busy throughout the day and do not have the time to visit the bank. They can avail the banking service from 6pm to 8pm in the Gulshan Branch. Standard Chartered Bank’s Internet Banking Service is a fast and easy answer to all the customers financial management needs, allowing you to bank from wherever they desire, in total security and confidentiality. No more standing in queues and it is absolutely free. i-Banking is a convenient, user- friendly way of staying informed and in control of the customers finances from anywhere in the world. Account Services- View your entire relationship with the bank at a glance, check customers’ account balance view and download statements. Fund transfers- transfer funds between customers’ own SCB accounts. Bill Payments- Pay selected utility bills online. Standing Orders- Enjoy the convenience of requesting the set-up of standing orders from wherever the customers are. Credit Card- View the customers’ card statement, pay their dues, check their card balance and also apply for a credit limit increase. Cheque Status- Check the status of cheques issued from customers’ accounts. Personal Information- Change customers’ password as and when necessary. Step 1: To complete and sign the iBanking Application Form. Step 2: To drop it off at any of the SCB’s Branches along with a copy of customers’ valid Passport. Step 3: To receive the customers’ iBanking user ID by e-mail and collect the password from their specified branch. Simply log on to standardchartered.com/bd and start enjoying SCB’s iBanking Services. Step 1: To visit standardchartered.com/bd . To complete the electronic iBanking Application Form online, create customers’ own iBanking ID and click submit. Step 2: To print the form, sign it and drop it off at any of the SCB’s Branches along with a copy of customers’ valid Passport. Step 3: Customers’ iBanking user ID will be sent to customers through e-mail. To collect their password from their specified branch. Now a customer can simply log on and start enjoying SCB’s iBanking services. The SWOT analysis comprises of the organization’s internal strength and weaknesses and external opportunities and threats. SWOT analysis gives an organization an insight of what they can do in future and how they can compete with their existing competitors. This tool is very important to identify the current position of the organization relative to others, who are playing in the same field and also used in the strategic analysis of the organization. Leader in foreign Banking sector: SCB’s Banking Experience for 150 years provides SCB the strength of being the market leader in the foreign banking sector. This strength of SCB is totally unmatched by any other multinational bank in Bangladesh, as the long term success of a bank heavily depends on its reputation while dealing with financial resources. First Bank to introduce Money link services: SCB is the first bank in Bangladesh to issue Money link (ATM) card. As the market leader, they showed the most substantial corporate strength among the foreign banks by grabbing the opportunity that exists in the market. Very wide range of customer categories: In Bangladesh SCB has a wide range of customer base and is operating efficiently in this country. Healthy state of human resources: SCB has a whole lot of qualified, experienced and dedicated human resources. Provider of good quality services: SCB has the reputation of being the provider of good quality services to its potential customers. Provides a very wide range of services: SCB is renowned for the extremely wide range of services they provide to their customers. Few branches: SCB has fewer branches than their competitors. SCB have only 18 branches whereas one of their competitors Uttara Bank Limited has 198 branches and 12 regional offices. Higher charges: SCB charges higher fees compared to its rivals. Such as minimum balance fee, ledger fee etc. as a result SCB sometimes ends up loosing their customers. ATM machines often out of order: SCB often has problem with its ATM machines. Customers often complain that the ATMs are out of order. Whole lot of potential customers: The population of Bangladesh is continuously increasing at a rate of 7.3% per annum. The country’s growing population is gradually and increasingly leaning to adaptation of consumer finance. As the bulk of our urban population is middle class, different types of products have very large and easily pregnable market. Huge consumer base: Bangladesh has a huge consumer base for maintaining several accounts. So SCB has the opportunity to keep these customers by reducing its current fees and charges. Low investment: In today’s economy, substantial amount is remaining idle and currently the investment in the secondary market by foreign is relatively low. Tough competition: Increased competition by other foreign banks is also another threat to SCB. At present HSBC and CITI N/A are posing significant threats to SCB regarding retail and business banking respectively. Furthermore, the new comers in private sector Bank’s are also coming up with very competitive force. Customers may switch to other banks in the search of lower charges: As Standard Chartered Bank charges its customers much higher than those of competitors; they stand the risk of losing their customers to other banks who charge comparatively lower fees. As the internship program involves constantly interacting with customers, issuing their bank certificates and statements, attending customers who have requests for customized bank documents etc., customers were requested to fill the questionnaire to find out their satisfaction level in terms of products and services provided by SCB. I did my survey among 40 respondents and did data analysis accordingly. This analysis should be taken under consideration to increase the customer satisfaction, which ultimately helps SCB to be profitable. This is to identify the percentage of male and female are SCB’s customer. Analysis: Here from the survey I found that among 40 respondents 32.5% are women and 67.5% are men. So I can come to the conclusion that most the SCB’s customers are male. And many cases I found that private service holders wife maintain their account that’s why the percentage move to 32.5% otherwise it can be less than 20%. Most of these cases we found those males are opening a joint account so that there wife can maintain their accounts. In my survey questionnaire I asked to mention the current age and divide the frequencies 7 age segment. Analysis: From the mentioned age I calculate the average age which is around 34 years. For analysis purpose I divide the distributions into 7 age segment and found 25% customer among the 40 fall in between 31-35 years then 22.5% fall in 41-45 age years old and 20% fall in between 36-40 years age. So we can say that most of the SCB’s customer’s age range falls between 31-45 years range. But yet there are many customer whose age range fall above the average because they maintaining the account for a long period of time. At the same time we found some new customers who are student after SCB start the graduate account. So we can say that all aged customer hold account in SCB Bangladesh. In my survey questionnaire I asked to mention the current profession. For analysis purpose I divide mentioned professions into 4 basic professions. Analysis: Here we can see that highest percentage is on private service holder which is 37.5% because they are operating there salary account with SCB for better service and for definite benefit. Next is professional under this category are businessman. Next most responded category includes engineer, doctor, lawyer, consultant which contains 22.5% shown as others. Last we found the lowest percentage on student which is 7.5%. In this part I asked the respondent to mention their most avail services from Gulshan branch and interpret the data accordingly. Analysis: During my internship in Gulshan branch and from the survey I found most of the customers come to branch to avail the statement and certificate for different embassy. And numbers of people come to know there balance although they can get it through ATM booth and call center but still they wants to rely on branch which is 22.5%. Lastly many people as well come have other services like Sanchayapatra coupon encashment and purchase and to open different savings product. In this part I tried to find out the satisfaction level in terms charges applied for statement. Analysis: Here from the survey I found that 62.5% are not satisfied from the charges incurred for statement and certificate. Only 37.5% people are satisfied for the fees charged for statement. Analysis: Standard Chartered Bank charge 575 BDT including VAT for statement. From the survey I found that maximum people expect much lower charge for statement. The average expected charge found from survey analysis is 187.50 BDT for per statement. This is because of other competitors of the SCB are charging lower than SCB. Most of the private banks in Bangladesh have no charges on customer’s statement takings. As a result customers have an attitude to pay as much low as they can pay. Standard Chartered Bank’s replacement charge for ATM card is BDT 345. I tried to find out the satisfaction level in terms charges applied replacement of ATM card. Analysis: Standard Chartered start distributed its debit card as they want to replace ATM card with debit card. But problem is charge is more or less double at the same time SCB start charge customers before they start use the debit card and SCB send the debit card by post without taking permission from customer for the first time. Here 57.5% said they are not happy to take Debit card by paying more and 42.5% said they are happy. Analysis: Standard Chartered Bank charge 690 BDT yearly including VAT for debit card. From the survey I found that maximum people expect much lower charge for statement. The average expected charge found from survey analysis is 337.25 BDT for debit card yearly. Standard Chartered Bank asked to submit different documents as a prerequisite for opening of different products. But these docs increase dissatisfaction level among customer. Analysis: Now if any customer wants to take any kind of services they need to present with different papers like passport for photo identification or authorization application with attested photo. But these docs increase dissatisfaction level among valued customer. That’s why 47.5% said they agree that it increase the dissatisfaction level and 17.5% said strongly agree with this statement. Standard Chartered in 2007 adopt different service charge like loan processing charge 2% of the loan amount which is very high in percentage, account closing charge is 575 and they as well increase the account opening amount for both savings(1 lac to 2 lac) and current account to 50,000. In this segment I will find out the satisfaction level in terms these different charges. Analysis: Different service charges introduced by Standard Chartered Bank in 2007 increase the level of dissatisfaction. Maximum customer think that the charges more than average of banking industry. So the decision of increasing service charges and increasing opening amount are very poor and it will ultimately increase the customer dissatisfaction level at the end. Standard Chartered bank is the first bank in Bangladesh who starts the call center option in Bangladesh. Now they are start creating their call center activated. For this reason they try to make the customer call center oriented instead of branch oriented. SCB make many things free for customer if they collect through call center. But many problems associated with call center performance. Analysis: The main problem which is the basic criteria of the call center is availability of phone line. The phone line is very much poor, sometimes branch employee can not connect the phone line when branch people suggest them about then they directly ask can you please connect the no. and branch guys fail to connect. But over all whenever customers make complain or want something from call center they will get that very soon. That’s why customers are annoyed with availability of phone line not with services. This segment is to identify the overall performance of Standard Chartered Bank in terms of the following features & services. Analysis: In branch mostly service given by Customer Service officer means (Cash) and Personal Financial Consultant (PFC) but the service delivery time is very poor. In cash for giving service to particular one customer one CSO take 5 minutes just to receive and giving the money and PFC’s they basically harass the customer by asking many question even from the account holder they ask many question if sign mismatch occur. Standard Chartered bank is the largest multinational bank in Bangladesh, so customer’s expectation is very high and they are quite satisfied with the behavior. Standard chartered banks product has quite high interest rates in the market but they don’t have any plan to manipulate the rates to increase the customer satisfaction. This segment I want to find out the overall satisfaction of the customers in terms of products and services offered by Standard Chartered Bank. Analysis: As a multinational bank SCB has highest number of 24 branches and 35 ATM booths and they are only bank in Bangladesh who are connected online for all these branches and ATM. That’s why there is no question about the brand name. That’s why most of the people said the brand name is excellent and good. Right at this moment customers are dissatisfied with the charges of different services and call centre performance. If SCB can improve in these sectors, then customer satisfaction will be optimum. First thing that Standard Chartered bank should do is to maintain the standard during recruiting the employees. An employee bears the brand name so if employees make some thing wrong that will ultimately affect Standard Chartered bank. Because of consumer banking directly deals with customer and they face the major problem of loosing customer if employees make something wrong. I also recommend to setup best training schedule for the employees. Second thing is Standard Chartered bank should create a new division whose major responsibility will be looking after the ATM booths. These days people are interested to make their banking transaction through ATM but due to some technical problem most of the time they face problem in ATM. So new division can solve this problem by solving the technical problem right on time and make servicing of machine regularly. From my survey most of the client or customer these days needs to come to the bank for Sanchayapatra coupon encashment. Here for better customer service Standard Chartered bank should introduce new software where customer can drop their Sanchayapatra and all the coupon will be en cashed automatically after maturity. This will increase the brands power on the mind of the customer. Prevailing legal procedures is very lengthy and complicated. It takes longer period to settle any kind of dispute. On the other hand, encashment of security after maturity is a long drawn process, i.e. generally takes 5 – 6 days. So, SCB should be more careful in the case of opening and closing different securities. So that after maturity customer gets them very quickly and timely. A proper process must be in place to change Bank’s charges and required documents update should be sent to the customers address. At the same time courier company must be closely tracked for follow up. From my survey I found that, there are many customers whose accounts are doubled charged automatically by SCB’s EBBS software. Banks should reverse them automatically by finding out those 2 hundred thousand accounts no. At the same time issue a letter against that by using explanation of this. Then it will reduce the customer dissatisfaction. Standard Chartered Bank should reduce its debit card yearly charge to the same as before means same as ATM card. Because it is issues by bank itself. So they should charge the same as before means Tk 345 per annum. At the same time they should change the new charges for statement as well because now they make it doubled then before. They can increase it by 20-30% but not more than that. Because some other bank takes no charges from statement. So it may hit to the customers to pay a lot for a simple statement. Standard Chartered Bank should introduce a new department who will be basically looking after the brand name thing. The name is important factor if the name gets affected by wrong words like high charge maker bank then it will ultimately make the bank looser that’s why SCB should take care of this. Standard charted bank must have to make sure their call center phone line available then and only then they can speak up 24 hours service. At the same time SCB cab transfer some major customer service product to the call center. Then people can change their address through phone link by using proper telephone identification number. SCB should make the call center software easy to the customers so that they can easily operate by themselves. Standard charted bank must take some promotional and training campaign to the customers for using Debit card. By regular using of Debit card by the customer it can make a new era in Bangladeshi banking system that it will reduce the money laundering, caring huge number of cash and fast moving secure business environment. Lastly I want to tell that Standard Chartered Bank should reduce the charges of all products and services offered by itself. From survey analysis I found that the level of dissatisfaction increases substantially because of high charges on its products and services. So Standard Chartered Bank should decrease all the relevant charges to attract more customers and increase the level of satisfaction among current customers. In respect of the marvelous growth of consumer banking revenue over the last 20 years and considering the intensity of competition yet to come, it is crucial for SCB to rethink its strategies and marketing plan to sustain the growth consumer banking revenue. One of the ways to achieve that objective is to maximize consumer banking revenue generated from local clients and introduces more local products. At the same time Standard chartered bank must have to consider the consumer mind setup. As a multinational bank customer want more benefit from them then other 3rd generation bank. So instead of making profit only they should care about the customer as well. They can start many new savings product like millionaire scheme. But they should introduce something for the middle class, but still SCB continuously working with upper class and upper middle class. The only reason is the account opening amount which is quite large for middle class. Like the graduate account SCB can come up with some product like this and reduce the charges of current product and services. Standard Chartered Bank can turned over a new leaf of general people through the invention of new products which are easily introduced and accepted by the general people on account of its reliability and flexibility. 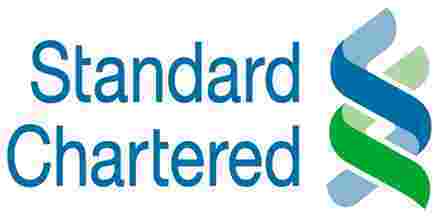 Overall of my investigation I can say that customer service quality in Standard Chartered Bank is satisfactory and continuously meets the challenges of developing new products and services to match the specific requirements of customers and reduce the charges in its products and services will boost its customer base in terms of asset and liability. However, a bit more effort on the problem areas through the recommended actions would boost their reputation, profits, market share as well as customer satisfaction with a high rate.